Steve Gallow's Random Photos: Tilt-Shift Simulation of a Bridge in Rome, Italy. 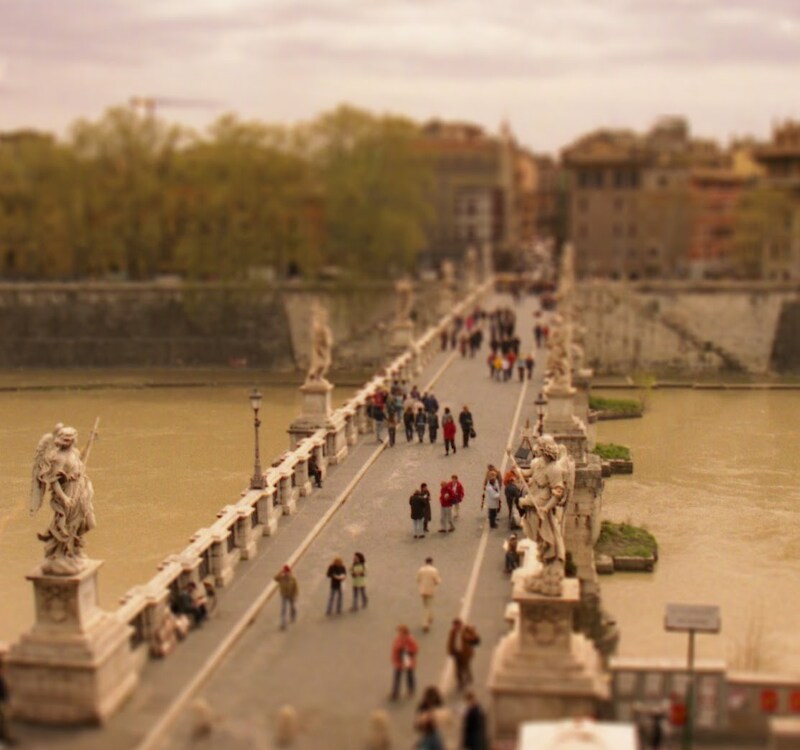 Tilt-Shift Simulation of a Bridge in Rome, Italy. I've been playing with some Tilt-Shift Photography simulations in Photoshop. Andrew Broekhuijsenfirst showed them to me. I thought they were actual photographs of minitures. They are incredible. If you have a chance go over and take a look. After a few attempts, I came up with this one from our trip to Rome. Fantastic! Great shot in the first place, and it made a superb tilt-shift. What a fun concept. I saw the original blogger's post that you drew your inspiration from. I agree, this is an ideal photo for the technique. It looks great. I tried it with one from the Michigan football game but just didn't get a warm fuzzy from it. Going to troll back through some old photos and see if I can find any to make it work. I thought I ahd left a comment here but apparantly not. . . your photo tilt shift is an interesting concept and you used a great photo to demonstrate it! Thanks or the link to my blog for the bench in Portland, Maine. I loved it! ..Wow! ..lovely and amazing picture !